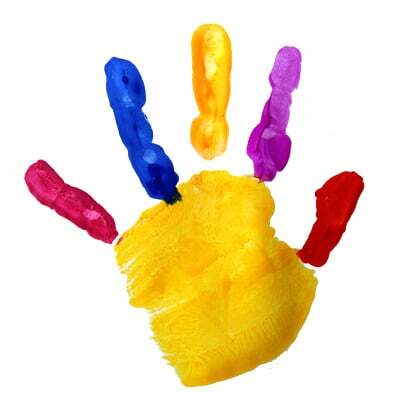 Your child has the best Dad – hands down, right? 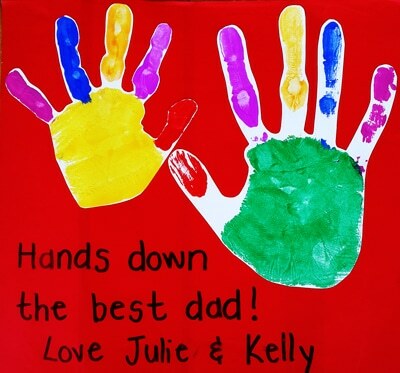 So let him know with this quick and easy hand print Fathers day card you can make at home in time for Father’s Day! Let’s make your Fathers Day card! 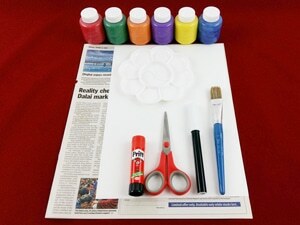 You just need some art paper, paint, paintbrush and a hand or two! Need some help with the message? We have a few suggestions guaranteed to put a smile on his face and maybe a bit misty-eyed. Lay down some newspaper and have a damp cloth handy for easy clean-up! What are dad’s favourite colours? Maybe you have to mix some paint to get it just right! Use a marker to write your special message to Dad! Need some inspiration for your special message? Try these! Yes, I want to try ActivityBox for Free! Dear Julie, I would like to thank you for the Pack that I received. I'm actually really impressed and very happy with the kits you provided. They all look perfect and it seems you thought about every small detail. Congratulations. Valerie, a very happy customer! 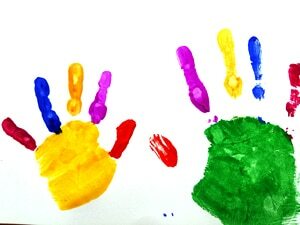 Our house is covered with artwork that is meaningful, rather than the random painting and drawing that we did so often. Our helper is inspired to spend an hour of the day teaching our daughter rather than just keeping her busy.